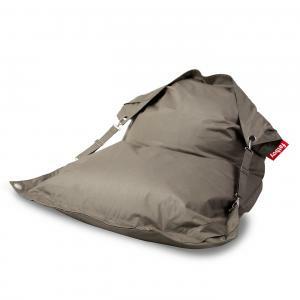 A super comfortable Headdermock from Fatboy. Enjoy and relax! Fatboy Headdemock will make you feel like you have so much nothing to do. Whether you’re sipping cocktails in the sunny shade or secretly being watched by your neighbours, it just makes you float like a feather. You can even share it with someone else and imagine two palm trees where there is actually a sturdy Fatboy support frame, while you're busy not worrying about a thing. Fatboy® Headdemock is worrilessly yours! Fatboy are very easy to clean. We recommend to use soap, water and a rag to clean.